The satisfying snack attack crusher! These Loaded Mini Taco Nachos can be served as a snack or appetizer, whether family or friends are coming over. They are so easy to make and so satisfying that you’ll prepare them for game nights, movie-watching or any time you have a snack attack. Mini tacos are always a pleasing snack! Transform these mini tacos into fun nachos. More satisfying than regular nachos, this recipe is so incredibly easy to make. 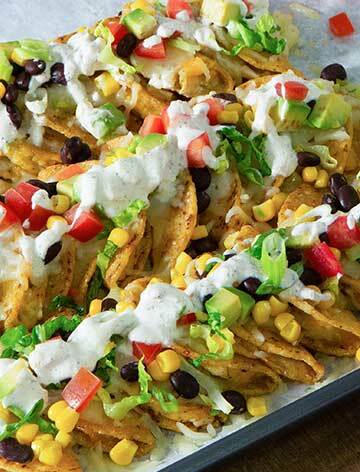 Sprinkle with your favorite cheese, then layer with your favorite nacho toppings. Make them whenever you want to crush a snack attack. These nachos are topped with a quick lime sour cream sauce – but let your fridge and pantry guide you in creating new sauces. Follow the steps to prepare our Loaded Mini Taco Nachos. 1. 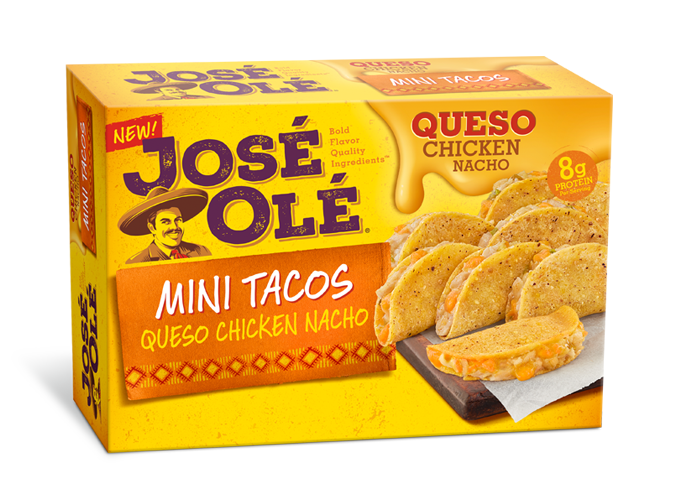 Arrange José Olé Mini Tacos Queso Chicken Nachos in a single layer on parchment paper–lined baking sheet. Bake in 425˚F oven for 10 to 12 minutes or until heated through. Remove from oven. Using tongs, carefully arrange tacos together; sprinkle with cheese. Bake for 3 to 5 minutes or until golden brown and cheese is melted. 2. Meanwhile, stir together sour cream, lime zest, and juice, salt, pepper, and cumin; set aside. 3. Sprinkle mini taco nachos with lettuce, avocado, black beans, tomato, corn and green onions. Drizzle with lime sour cream. 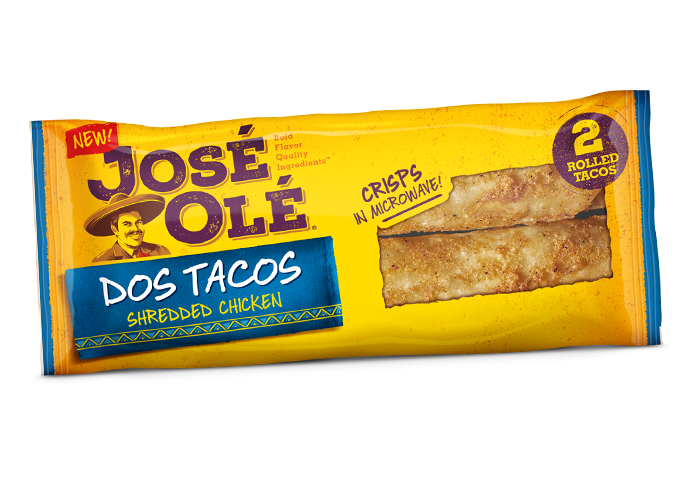 – These loaded José Olé Mini Tacos Queso Chicken Nachos are supreme! Use your favorite cheese: try Cheddar, Monterey Jack or even decadent Brie cheese. – Other nacho toppings, such as olives, red onion, salsa, cooked and crumbled chorizo sausage or bacon can be added. 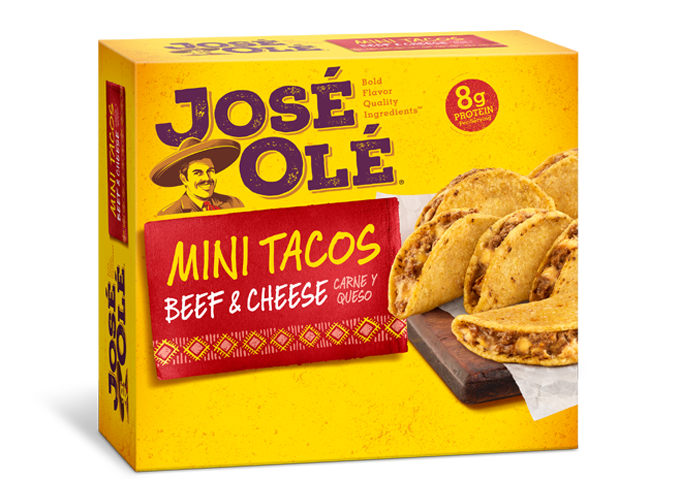 Enjoy and Just Say Olé!